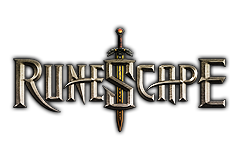 Currently, RuneScape has 522k, active subscribers (not counting f2p). Many say that this number is low, but let's put that into perspective. Everquest, which was the most successful MMO of it's time, peaked at 550k subscribers. Back in early 2004, that was considered a huge playerbase for a subscription MMO. But what about RuneScape? Yes, the playerbase has dropped. 2006 was widely considered a great point of RS. Guess how many active subscribers there were back then? Around 550k. That's right. RuneScape is just as popular now as it was in 2006. Rift currently has 250k players. RuneScape has over double this! SWToR, remember how hyped this was? They have around 600k. So slightly more. Now don't get me wrong, there are some MMOs (most notably WoW, at around 5M western players) that greatly surpass RuneScape's players. But my point is that most MMOs have around the same amount of players that RuneScape does.